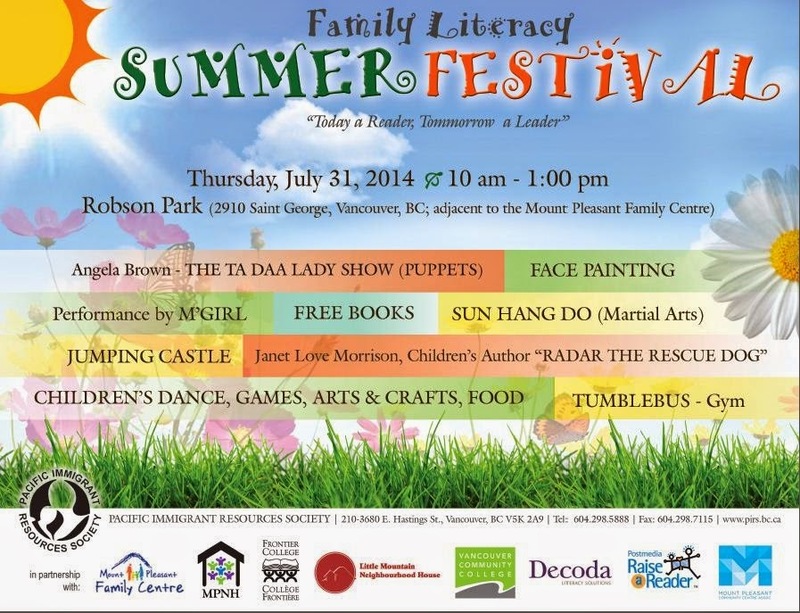 Spokesmama: Family Literacy Festival in Robson Park Thursday! Family Literacy Festival in Robson Park Thursday! There's a lovely little festival happening right here in the Fraserhood TOMORROW!